Nick is an award-winning Creative Director and Designer with more than 10 years of experience in brand expression and transformation. At Avenue, Nick translates strategic insights and plans into big ideas and creative campaigns. Prior to Avenue, he served as Design Director at Draftfcb—a global advertising agency with more than 9,000 employees. 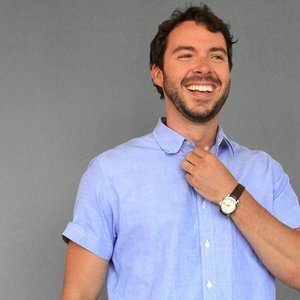 He also worked as a Designer for VSA Partners, and co-founded a boutique agency called miette. Nick has worked with a variety of businesses and brands across multiple industries including Boeing, FIAT, SCA, Antron, Hospira, Volkswagen, Nike, IBM, Target, Kraft and USPS. He’s been recognized by numerous industry-leading organizations and publications including The One Show, Print Magazine, AIGA, Brand New Awards, Communication Arts and The Wall Street Journal. Nick is also an active member of design community through industry associations such as The Society of Typographic Arts (STA), American Institute of Graphic Arts (AIGA) and American Advertising Federation (AAF). He frequently conducts portfolio reviews and provides mentoring to recent graduates, and serves as the creative director for TEDx Midwest.